We summarize the foundational elements of a new area of research we call soundscape ecology. The study of sound in landscapes is based on an understanding of how sound, from various sources—biological, geophysical and anthropogenic—can be used to understand coupled natural-human dynamics across different spatial and temporal scales. Useful terms, such as soundscapes, biophony, geophony and anthrophony, are introduced and defined. The intellectual foundations of soundscape ecology are described—those of spatial ecology, bioacoustics, urban environmental acoustics and acoustic ecology. 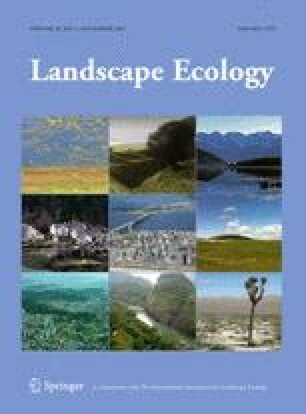 We argue that soundscape ecology differs from the humanities driven focus of acoustic ecology although soundscape ecology will likely need its rich vocabulary and conservation ethic. An integrative framework is presented that describes how climate, land transformations, biodiversity patterns, timing of life history events and human activities create the dynamic soundscape. We also summarize what is currently known about factors that control temporal soundscape dynamics and variability across spatial gradients. Several different phonic interactions (e.g., how anthrophony affects biophony) are also described. Soundscape ecology tools that will be needed are also discussed along with the several ways in which soundscapes need to be managed. This summary article helps frame the other more application-oriented papers that appear in this special issue. We would like to acknowledge funding from Purdue’s Center of the Environment Seed Grant Program, NSF III-CXT Program (0705836) and the Department of Forestry and Natural Resources. This paper benefitted from input by Kimberly Robinson, Brian Napoletano, Luis Villanueva-Rivera, John Dunning, Jeff Dukes, Jeff Holland, Burak Pekin, and NahNah Kim. Special thanks to George Hess and one anonymous reviewer for very valuable input of a previous version of the manuscript.